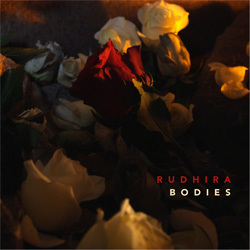 Keeping the momentum going following last year’s debut album ‘Ein’, Norwegian quartet Rudhira are back in business with a single-shot download release, although at six-plus minutes ‘Bodies’ is hardly your average single. Keeping their feet firmly under the progressive metal table – although allowing themselves a pleasant groove to keep things flowing – Ole-Martin Moe Thornæs, Tomas Nergård, Lars Todal and Andreas Nergård have conspired to unleash what appears at first to be a simple little ditty but which soon reveals its true colours thanks to a lulling sitar followed by a megaton blast of rifferama. Like the wolf in sheep’s clothing that it turns out to be, ‘Bodies’ then ups the ante and races for home like a cat with its tail on fire. Exciting, enchanting, invigorating… If this blast of fresh air is indicative of where Rudhira are going at this point in time I’d suggest we all get a ticket to ride, pronto. Another hit from the boys at Pug-Nose.